The Board denied a motion by Wi-Fi for discovery to support its allegation because Wi-Fi failed to establish even a “mere possibility” of “producing useful evidence.” Under Achates, any determination by the Board to institute an inter partes review is barred under 35 U.S.C. § 314(d) because, as stated in § 314(d), a “determination by the Director whether to institute an inter partes review under this section shall be final and nonappealable.” (Emphasis added.) Wi-Fi conceded the finality of the Board’s decision if the holding in Achates was still good law, but argued that the Supreme Court’s decision in Cuozzo overruled Achates by implication. According to Wi-Fi, the Court in Cuozzo limited “finality” to “questions that are closely tied to the application and interpretation of statutes related to the Patent Office’s decision to initiate inter partes review” and, therefore, precluded any unexceptional, or “mine-run” claims. Wi-Fi asserted that the time bar of 35 U.S.C. § 315(b) was not such a question, and that the decision by the Board to deny Wi-Fi’s request for discovery was “an example of the ‘shenanigans’ that the Supreme Court in Cuozzo suggested would be reviewable,” contrary to the absolute bar dictated by the Federal Circuit in Achates. The majority in Wi-Fi One disagreed, finding “nothing in the Cuozzo decision that suggests Achates has been implicitly overruled,” and stated that reviewing the Board’s decision in this instance “would render routine procedural orders reviewable, contrary to the entire thrust of the Cuozzo decision.” In his concurring opinion, Judge Reyna agreed that Wi-Fi did not demonstrate privity, but argued that time-bar decisions by the Board were an exception to the “final and unappealable” restriction on decisions to institute inter partes review under 35 U.S.C. § 314(d). To do otherwise, according to Judge Reyna, would render the one-year time bar under § 315(b) “toothless” if the Board chose to ignore this statutory provision. Judge Reyna further argued that the time bar of § 315(b) was not the kind of “mine-run” claim cautioned against by the Supreme Court in Cuozzo, nor was it “some minor technicality.” The time bar for Judge Reyna was unrelated to the “initial determination of whether there is a reasonable likelihood the petitioner would prevail on the merits” that forms the basis for institution of inter partes review by the Board under § 314. Rather, “[c]ompliance with the time-bar is part of the statutory basis on which the final decision rests” and, therefore, should be subject to appeal as part of that final decision under 35 U.S.C. § 319, which states: A party dissatisfied with the final written decision of the Patent Trial and Appeal Board under section 318(a) [final written decision in an inter partes review] may appeal the decision pursuant to sections 141 through 144 [appeal to Court of Appeals for the Federal Circuit]. Any party to the inter partes review shall have the right to be a party to the appeal. The Supreme Court in Cuozzo, for its part, held that a different section, namely 35 U.S.C. § 312(a)(3), requiring that the petition for inter partes review identify “in writing and with particularity each claim challenged,” was not subject to appeal. Presumably, the Court viewed the term, “this section,” in § 314(d) recited above to refer to any statutory provision regarding institution of inter partes review, rather than being limited to § 314 alone. The Court also gave examples of questions that were outside the Supreme Court’s holding. Those examples included questions of constitutionality, questions that “depend on other less closely related statutes,” and “questions of interpretation that reach, in terms of scope and impact, well beyond ‘this section.’” A particular example was that of cancelling a claim in inter partes review for statutory “indefiniteness under § 112,” stating that “[s]uch ‘shenanigans’ may be properly reviewable in the context of § 319 and under the Administrative Procedures Act.” As part of its decision regarding whether to overrule Achates, the en banc panel of the Federal Circuit will have to decide whether the decision in Achates has, in fact, been “implicitly overruled” by the Supreme Court in Cuozzo. Cuozzo, as stated above, was directed to the particularity of the petition required under § 312(a)(3), and also was considered to be under the broad umbrella of “this section” of § 314(d). Both the one-year time bar in Wi-Fi One and the issue of particularity in Cuozzo were reviewed as being “closely tied to the application and interpretation of statutes related to the Patent Office’s decision to initiate inter partes review” and, therefore, unappealable. The Federal Court in Achates, as in Wi-Fi One, held that the time bar under § 315(b) for filing petitions for inter partes review was unappealable. 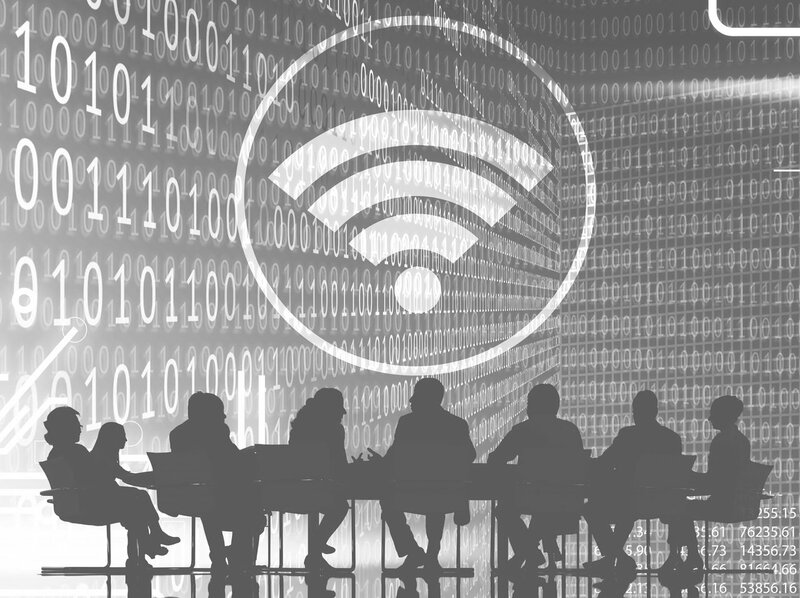 In determining whether to overrule Achates, the en banc panel of the Federal Circuit in Wi-Fi One will have to be consistent with the Supreme Court’s decision in Cuozzo. There is, however, a conundrum to be faced by the Federal Circuit in their upcoming decision, which was presented by Justice Alito in his opinion, concurring in part and dissenting in part from the majority in Cuozzo. He presented a hypothetical that was based on the majority’s reference to the kinds of decisions that were viewed by the Supreme Court as being outside its holding in Cuozzo. In the hypothetical, Justice Alito posited that a petition to invalidate a claim as indefinite under 35 U.S.C. § 112 could be instituted under post-grant review after expiry of the nine-month period that defines this proceeding. According to Justice Alito, the majority’s reasoning would allow that decision to be overturned as untimely, but then instituted by the Board as an inter partes review or even a “covered business method” without the possibility of appeal because “the petition’s timeliness [in an inter partes review], no less than the particularity of its allegations, is [using the majority’s language] ‘closely tied to the application and interpretation of statutes related to the Patent Office’s decision to initiate … review.’” In other words, a blanket bar against judicial review of decisions by the Patent Office to institute inter partes review could, in effect, collapse “Congress’s three-tiered review structure” of covered business method review, post-grant review, and inter partes review, thereby “subjecting all patents to broad post-grant review at all times,” a result that “Congress cannot have intended.” Justice Alito’s hypothetical presumes that the majority in Cuozzo would consider timeliness of petitions to file for inter partes review to be unappealable because no basis was provided for distinguishing between timeliness (under § 315(b)) and particularity (under § 312(a)(c)) with regard to the finality of decisions to initiate inter partes review under “this section” of § 314(d). He viewed a prohibition against appeal of timeliness and particularity in a decision to institute inter parte review as a threat to the entire post-grant system, potentially exposing all patents to “broad post-grant review at all times.” Therefore, according to Justice Alito, both timeliness and particularity should be subject to appeal. If Justice Alito’s understanding of the majority’s opinion in Cuozzo is correct, then the conundrum to be faced by the en banc panel in Wi-Fi One is this: If the en banc panel reverses the Board in Wi-Fi One and overrules Achates by holding timeliness to be appealable, then it may be in conflict with Justice Alito’s understanding of the majority’s reasoning in Cuozzo that timeliness, like “particularity,” would both be considered “closely tied” to the Patent Office’s decision to institute inter partes review and, therefore, unappealable. On the other hand, if it affirms the Board’s decision in Wi-Fi One and Achates, Justice Alito’s prophecy of collapse of the newly-minted post-grant system may be realized.